There is a digital revolution taking place around the world. And one term “digital disruption” is one term that is often used to describe what is happening. There is an important distinction between digital transformation and digital disruption. The distinction between disruption and transformation is that when someone is transformed they still exist, albeit changed in a significant way. The term disruption can be defined as a forcible separation or division from the norm, in other words…….. radical change. The changes that are taking place now, and which will continue to take place as a result of technology are indeed truly disruptive rather than tranformational. Some of the old ways of doing things will not survive in the new digital economy. PriceWaterhouseCoopers ( PwC) is a multi-national professional services firm, one of the largest in the world. In April 2015 they produced a report entitled “A Smart Move”. The report subtitle was “Future-proofing Australia’s workforce by growing skills in science, technology, engineering and maths (STEM). In Australia, 44% of jobs, affecting 5.1 million workers are in jobs at risk from digital disruption. Machine learning, which basically means computers making intelligent decisions, will be a major source of gains in productivity. Traditional supply chains will be potentially disrupted by the advent of 3D printing. Because this technology has the potential to change where and how things are manufactured up to 41% of air cargo, and 37% of ocean cargo are threatened. 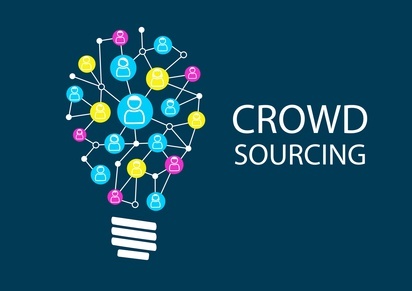 Crowdsourcing, fuelled by social media, is changing the way organisations choose to staff key projects. Relevant talent, sourced literally from anywhere in the world via the internet, complete their tasks on demand. Digital revolution and disruption – some good news! The report wasn’t all doom and gloom – there is some good news within the digital revolution. So what advice for parents of children about what subjects or courses to study? The PwC report indicated that 75% of the fastest growing occupations require skills in science, technology, engineering and mathematics. There is currently a very big shortage of students in high school, and at university who are completing studies in these areas. Businesses of the future will need to be able to compete in a global economy. So, future workers and managers need to be appropriately educated. The report argues that a STEM (Science, Technology, Engineering, Technology) education is closely related to a workforce that is able to innovate – a key requirement for current and future business competitiveness. That a STEM education is an advantage is backed up by the fact that 70% of Australian employers identify STEM employees as being among the most innovative. That big changes are coming to the way we live, work, educate ourselves and use our leisure time is a certainty. A first step to prepare for the ‘disruption’ that the digital revolution is going cause in our lives is to attempt to identify the types of changes that are in store. In this post, I have provided a summary of a recent report from PriceWaterhouseCoopers which outline some predictions about the labour market here in Australia. Clearly, over the next 10-20 years many familiar jobs will simply disappear, to be replaced by technology which automates the work involved. The good news is, some jobs will continue to be in demand, as will the demand from employers to hire people who have the skills and education needed to do them. Knowing these things, it is possible to make some plans about how we take advantage of the opportunities this new future will bring.